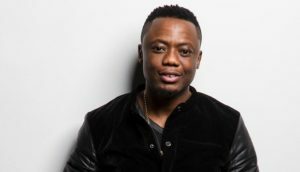 DJ Tira whose birth name is Mthokozi Khathi is a South African DJ, record producer, and a Durban kwaito artist. He is the founder of a record label that is known as Afrotainment. He’s best known for introducing artists such as DJ C’ndo, Big Nuz, and DJ Fisherman through his record label Afrotainment. He is a graduate of the University of Natal where he studied Human Resources. He was born on the 24th of August 1976 in KwaHlabisa, a village located in the Northern parts of KwaZulu Natal. He is 42 years old as of 2018. Tira is married to Gugu Khathi. On October 2016, he and his wife Gugu Khathi hosted an Umabo ceremony at his home in KwaHlabisa, in KwaZulu-Natal. The Umabo is a traditional Zulu ceremony where a bride gets formally introduced to her husband’s ancestors in a cow slaughtering ritual and celebration. It normally takes place after the white wedding, and it is believed that one is not fully married until after the Umabo ceremony in Zulu culture. He has two sons with his wife who are Junior and Chase Khathi. Both have followed in their father’s musical footsteps. Junior is dropping a hip-hop single soon and Chase loves spinning the decks. 2010: Channel O Video of the Year Award – Party 101 Teargas feat. Tira. 2008: Mzansi Star Best Club Dj Award. He has an estimated net worth of five hundred and fifty thousand dollars ($550,000).